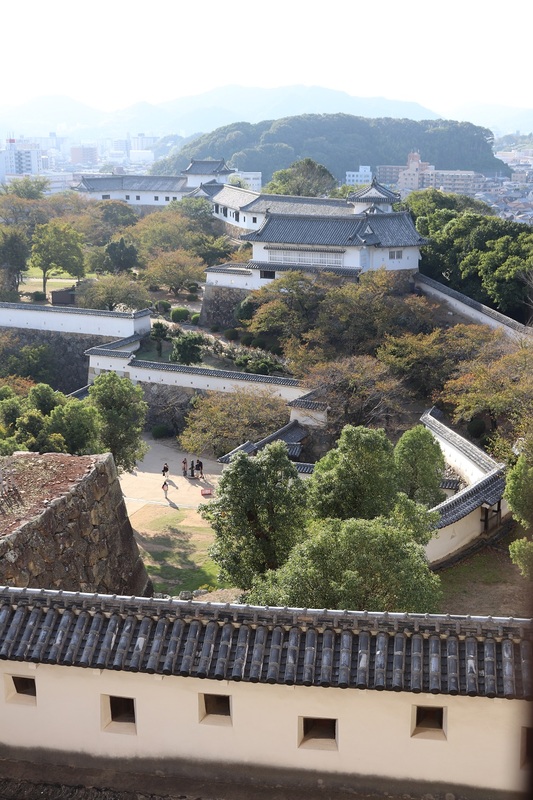 Himeji Castle is one of the most popular tourist spots in Japan and the most popular Japanese castle. It was originally built in the 14th century and the castle as seen today dates roughly to the 17th century, if my understanding is correct. 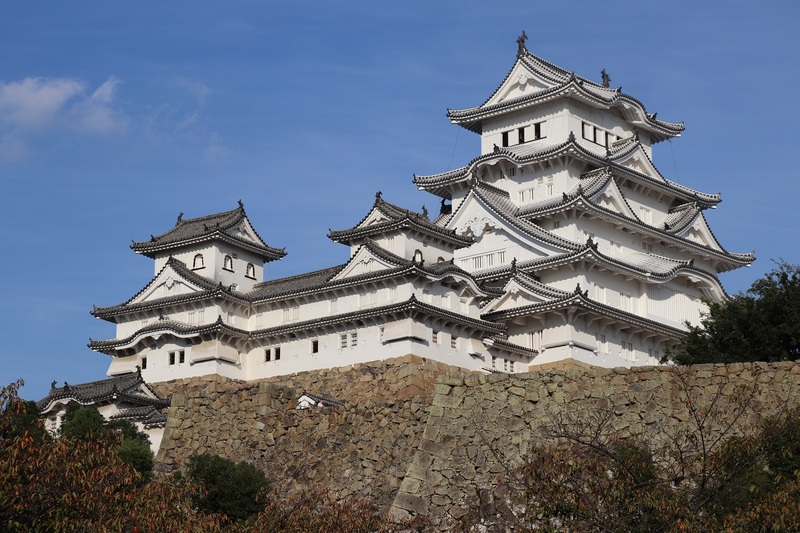 Himeji is one of the best (if not the best) examples of of Japanese castle architecture and it even survived the bombing of Himeji during World War II, even though the entire city was bombed. It’s a popular day trip to Kyoto and since it’s been named one of the best sites in Japan, if not the world, I absolutely had to go. The castle exterior is pretty impressive. The clean gray, black and white palette really highlights the main architectural details. The grounds are also huge and tall. The castle is seven storeys high and on a large hill, so the height is very impressive. The grounds also extend quite a ways from the main keep (the primary attraction of the castle). Even though the castle is in the middle of a modern city now, it’s fascinating to think of how impressive it would have been in its heyday, when you could see if for miles away. So one major thing to note: if you’re used to European castles, you’ll be expecting a festooned interior. That’s not the case with many Japanese castles. The main keep served a military function and while other parts of the building were residential, they are not on display to the public in their decorated form. 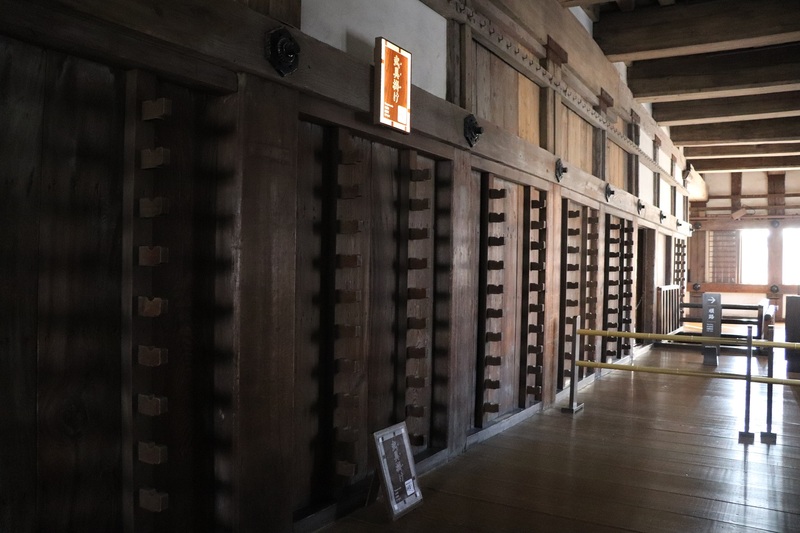 The inside of the main keep is filled with very beautiful wood and it’s fascinating to see the military aspects of architecture that the castle has, like hiding places for soldiers and weapon racks. There’s also a throne on the top floor and amazing views of the city and outer parts of the castle. But that’s kind of it. Everything inside looks about the same and though the wood is beautiful, it’s essentially just all one type of wood. 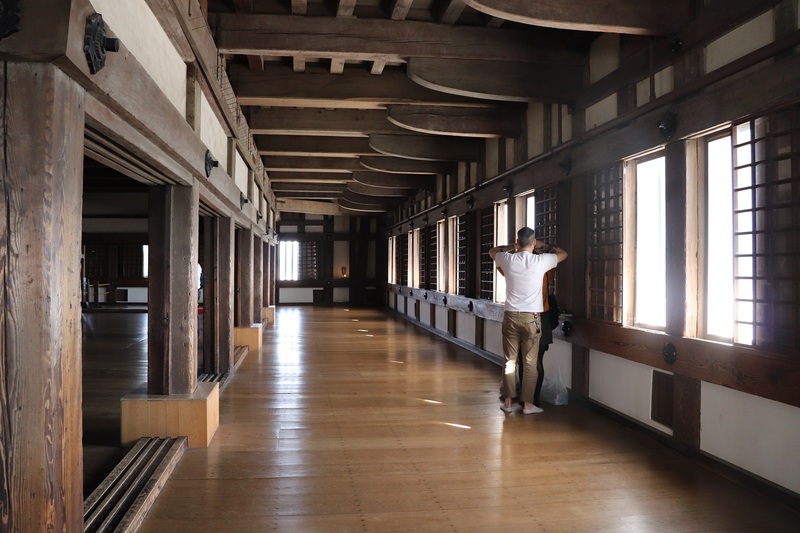 I wanted to like Himeji but I even met some other travellers who agreed: it’s just a building. It’s probably way more interesting to someone who enjoys military history and samurai. However, the castle would’ve been much more interesting had they had more artefacts that belonged to the military and samurai. There are some signs that explain some history but that’s it. Weapons, armour, and other memorabilia would’ve really made the castle more enjoyable. There was also not much information on the royalty that used to own the castle. 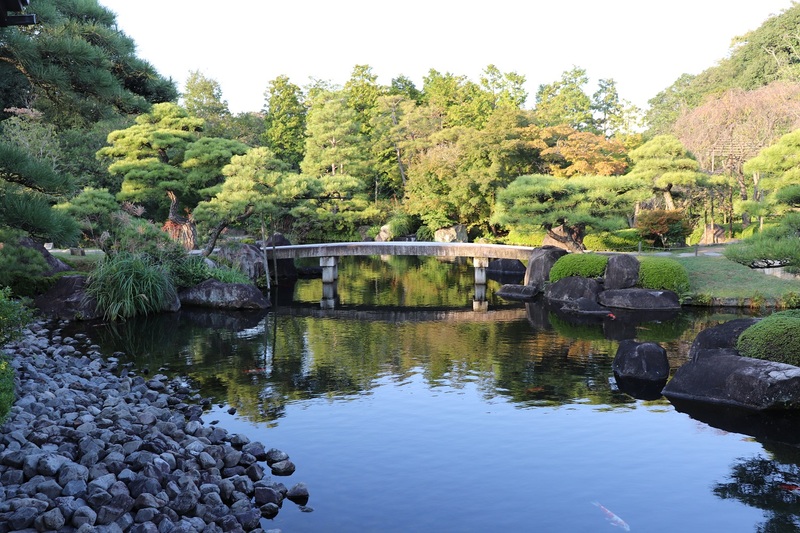 However, I did venture over to the Koko-en gardens, which are modern gardens designed in a traditional style. I found it to be a lot prettier than some of the other gardens I’d visited. All in all, it is an excellent example of Japanese castle architecture and an important piece in military history. 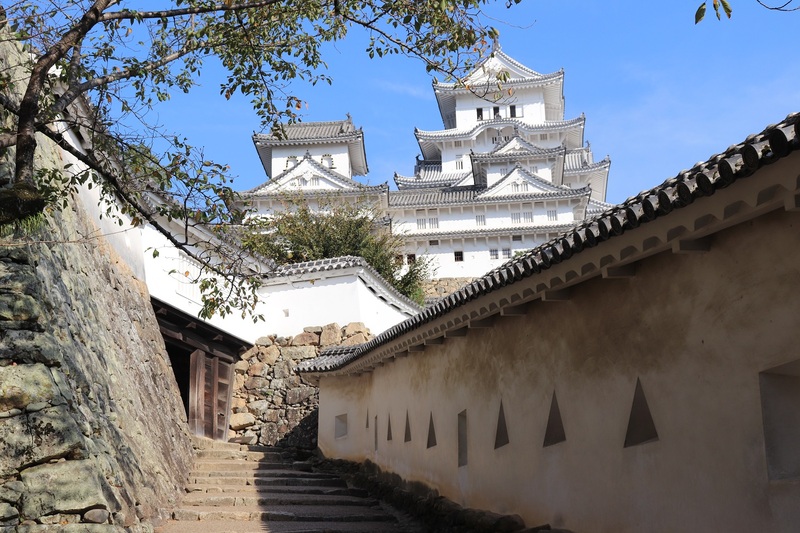 It’s my opinion that the castle would be a lot better if they presented a more rounded history, but if you’re still interested in Himeji, it’s definitely worth the short trip. But calling it the best sight in Japan, or one of the top 10 sights in the world? I definitely wouldn’t do that. You can easily get to Himeji from Kyoto with your JR Pass, and the castle is visible from the station. 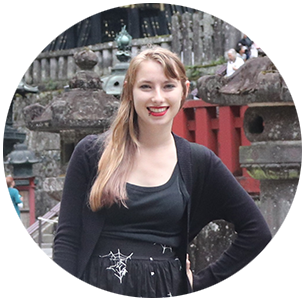 Have you ever been to Himeji? What did you think?